TheRustedChain - The Blog: Deja vu? There is nothing out of the reach of The Baby. Nothing. I've even put things out of my reach, and he gets them. Mascara. He was very angry that I took it away. How dare I? These times I didn't even bother to get frustrated or cry like I normally do. All I can do at this point is laugh and wonder what's next. I'll say it again, The Baby is bad. But kinda cute. I guess I'll keep him. 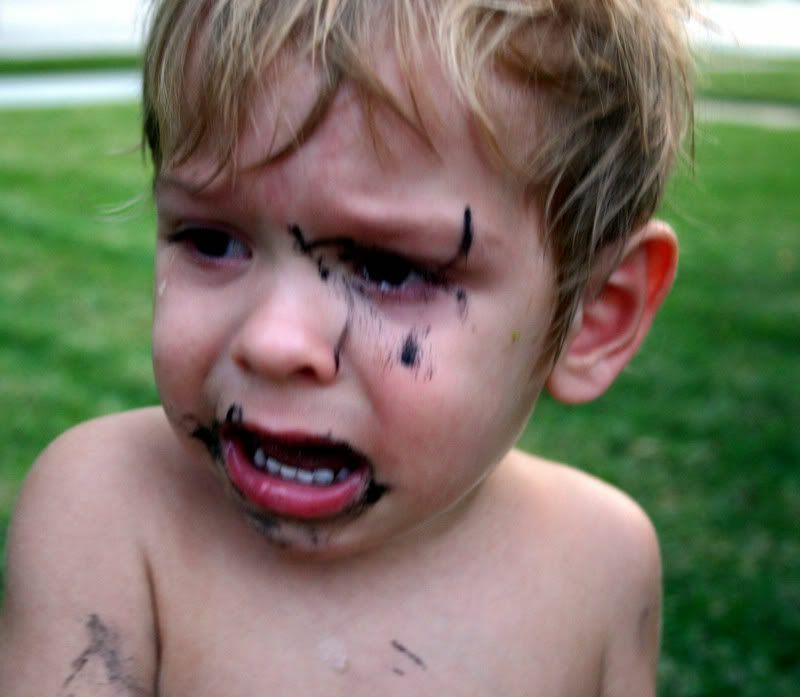 BTW, mascara is nontoxic isn't it? My youngest got into everything too, I mean everything!! Enjoy every minute of it and he is completely adorable! 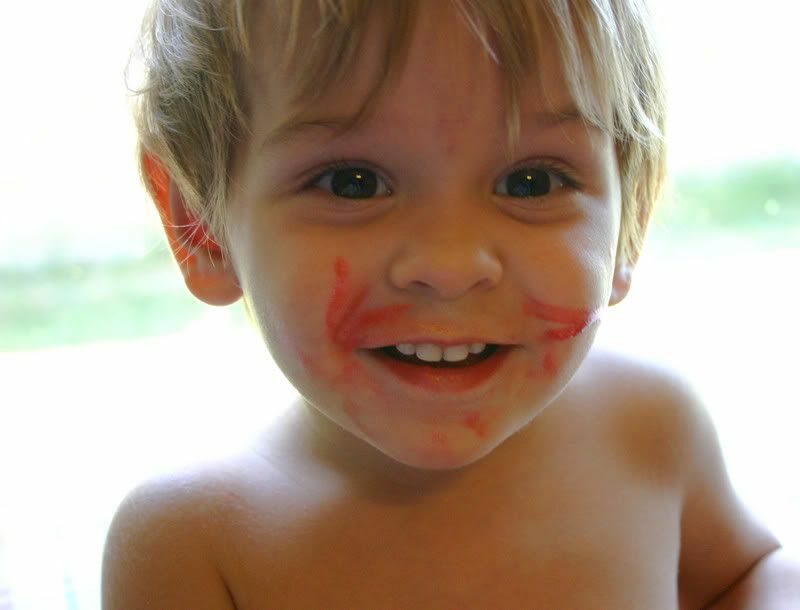 Aww, he is so cute! You'll love and laugh at these days later!! Oh! I left you a lil something something on my blog. Yeah, I think you should keep him and buy all new makeup! I've been thinking about you too. Oh no! You have the tolerance of a saint. 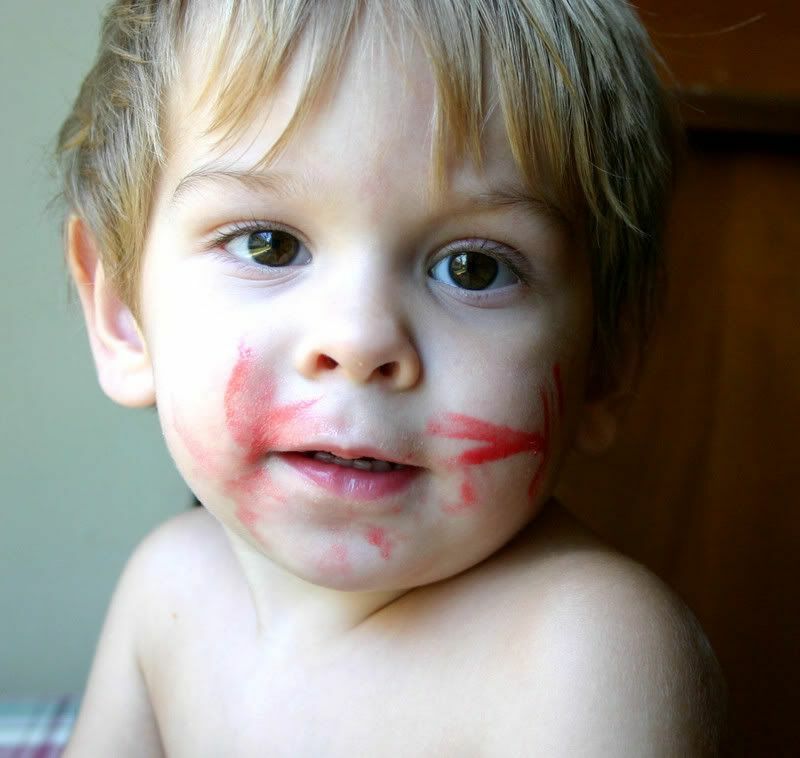 aww hes just being creative like mommy, I remember eating a brown lipstick when I was tiny thinking it would taste like chocolate! I always find it amazing how they can reach everything..But he is so darn cute, I laugh everytime I see him and what he gets into..
Everytime you post something like this about The Baby, I think of Robert Munsch's book - "Purple, Green and Yellow". He is precious and these will be great pictures to show at his wedding reception someday. what a totally cute boy! Enjoy every minute, it sure does fly! Theres not much more I can say, other than "awww!!!". haha awww yea he's a cutie! lol hard to be mad at that cute face huh. we can get our hair colored together with all the gray our youngest kids will bring! Now this kid is funny with a capital F!!! !